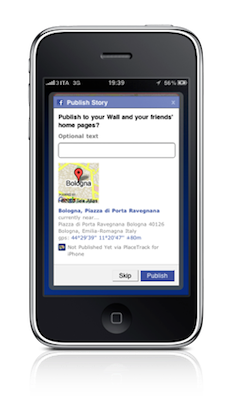 Technology and Internet have changed the landscape of media consumption as smartphones, tablet PCs, ebook readers, and other devices are spreading the culture of reading ebooks like wildfire. 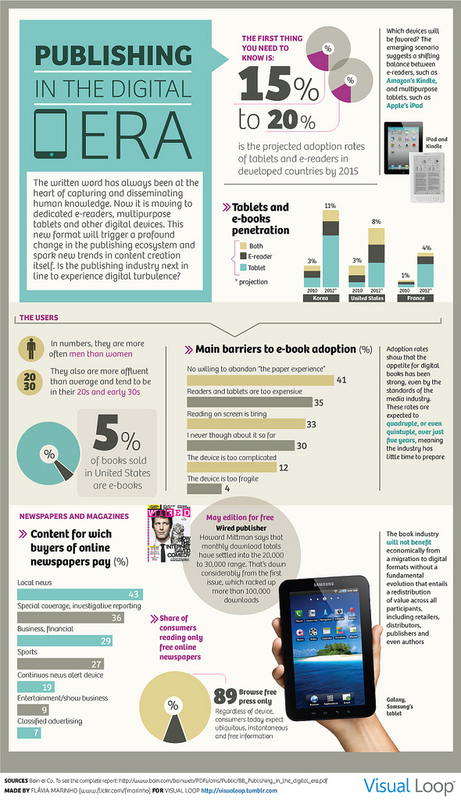 Visual Loop brings us another Infographic, that takes a deeper look at publishing in the digital era. According to their blog, this Infographic is based on the 2010 study provided by Bain & Company for the Forum d’Avignon, which can be downloaded here. The best part is that technology not only enables us to consume more media, but also allows us to produce it. Here’s a guide we have for self-publishing online, which is by far the cheapest yet the most efficient distribution system with a global reach for digital goods.